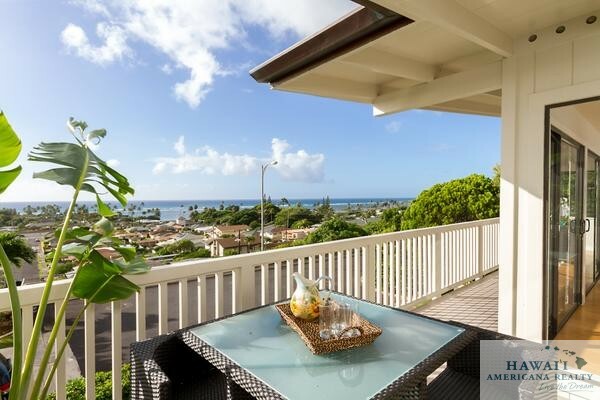 This 4-bedroom, 3-bath home in Waialae Iki is currently on the market for about $1.8 million. A total of 842 single-family homes and condominiums on Oahu sold for $1 million or more in 2014, eclipsing a record set in 2005. Oahu’s luxury housing market set a record in 2014, with a total of 842 single-family homes and condominiums sold for $1 million or more, an increase of nearly 16 percent from 2013. The previous peak for homes priced $1 million and above was in 2005 when 794 homes and condos were sold in this price range. Last year’s sales also surpassed the record set in 2005 by 6 percent. “This price point appeals to a broad market including locals, buyers from the U.S. mainland and international second-home buyers,” she said. The areas with the highest number of sales for homes over $1 million were Kahala and Diamond Head in East Oahu, while condos at this price range sold most significantly in Kakaako and Waikiki. In the $4 million and above price range, the Lanikai and Beachside neighrborhoods in Kailua had the highest number of sales with 11 total closed sales. Kahala and Diamond Head followed with eight closed sales each. The largest transaction in 2014 was the record-breaking sale of a property consisting of two adjacent oceanfront lots on Kahala Avenue for about $19.4 million, which was brokered by Coldwell Banker Pacific Properties’ Team of the Avenue in November. The two parcels were sold before they were listed. A month-to-month comparison shows a total of 73 luxury properties changed hands last month, compared to 69 in December 2013. The median sale price for luxury homes in December was $1.45 million, an increase of nearly 8 percent from $1.3 million during the same month in 2013. 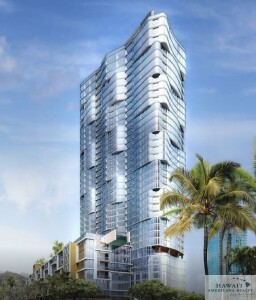 A pair of penthouse units at the newly completed 23-story ONE Ala Moana luxury condominium atop the Nordstrom parking garage at Ala Moana Center in Honolulu, — including a combined residence and the grand penthouse owned by Takeshi Sekiguchi, owner of Shirokiya and Vintage Cave Honolulu — are already on the market for a total of $22.3 million. Sekiguchi, a Japanese businessman who developed the Grand Wailea Resort on Maui and Ko Olina Resort on Oahu, paid about $9.7 million for the grand penthouse, according to public records. The Nordstrom department store at Ala Moana Center is seen in this photo depicting a rendering of the ONE Ala Moana luxury condominium project, recently completed construction atop the parking garage next to Nordstrom. Two penthouse units are on the market for a combined $22.3 million. He is now asking $12.5 million for the three-bedroom, three-bathroom 4,069-square-foot unit on the 23rd floor. SRE Matrix, a web-based Honolulu real estate firm that is also owned by Sekiguchi, is the listing firm for the fee-simple unit, which includes 180-degree views of the mountains and the ocean, a lanai and rooftop access. Amenities include pool, jacuzzi, gym, media room, golf room, party room with kitchen, spa treatment room, barbecue area and kids recreation area. The monthly association fee for the grand penthouse is about $4,370. The other unit, a combined penthouse unit with five bedrooms, five full- and two half-bathrooms and a second family room that is owned by Lally Family Trust, is on the market for $9.8 million with Heyer and Associates LLC. The combined units were purchased for a total of about $6.5 million, according to public records. Facebook founder Mark Zuckerberg, who recently bought hundreds of acres of land on Kauai’s North Shore, has also reportedly purchased several multi-million-dollar units at ONE Ala Moana. Other well-known buyers in Hawaii who have purchased units at ONE Ala Moana include Steve Sombrero, president of NAI ChaneyBrooks; Henk Rogers, founder of Blue Planet Foundation; Dave Erdman, president of PacRim Marketing Group; Eddie Flores Jr., president of L&L Drive-Inn and L&L Hawaiian Barbecue; Richard Lim, former director of the Hawaii Department of Business, Economic Development and Tourism; Mike Irish, owner of Halm’s Enterprises; Peter Ho, chairman, president and CEO of Bank of Hawaii; Mark Bratton, vice president and investment properties division manager at Colliers International Hawaii; and Sachi Braden, owner of Sachi Hawaii. The Howard Hughes Corp. is preparing to start construction in the coming months on its second luxury Honolulu condominium tower called Anaha that is planned for the former Pier 1 Imports location in Kakaako, the senior vice president for the Texas-based firm’s Hawaii operations told PBN. The Howard Hughes Corp. (NYSE: HHC) said in its first quarter earnings report in March that it had pre-sold 54 percent of the project, which includes 311 units. “Over the last few months, sales have continued to progress,” Howard Hughes Corp.’s Senior Vice President for Hawaii David Striph told PBN via email. 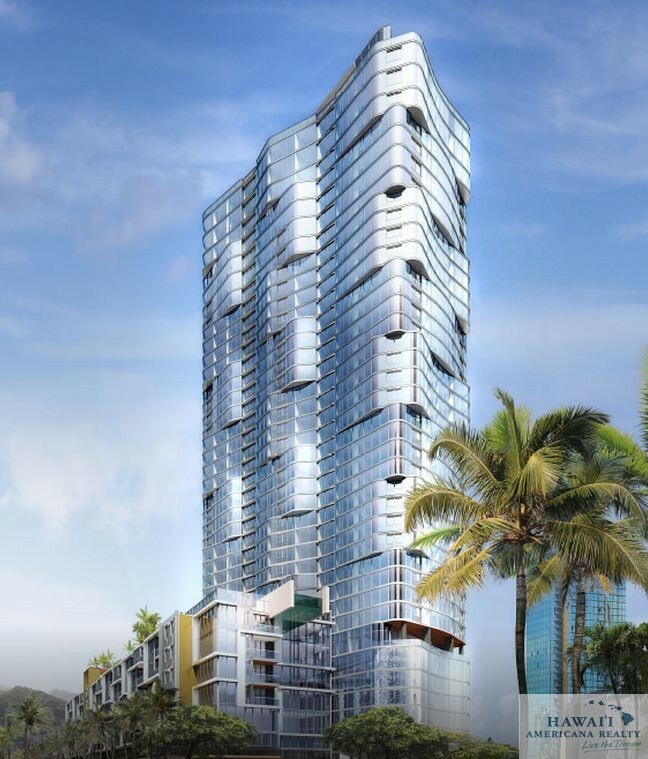 Last month, the developer broke ground on its Waiea luxury condo tower on a former surface parking lot fronting Ala Moana Boulevard, diagonally across from the Anaha site. 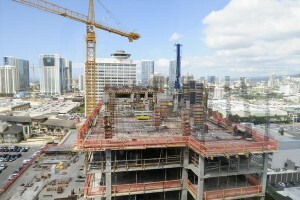 Both towers are part of the developer’s first phase of its Ward Village master plan. The Howard Hughes Corp. plans to add more than 900 residential units in the first phase of its Ward master plan, which includes these two mixed-use high-rises. 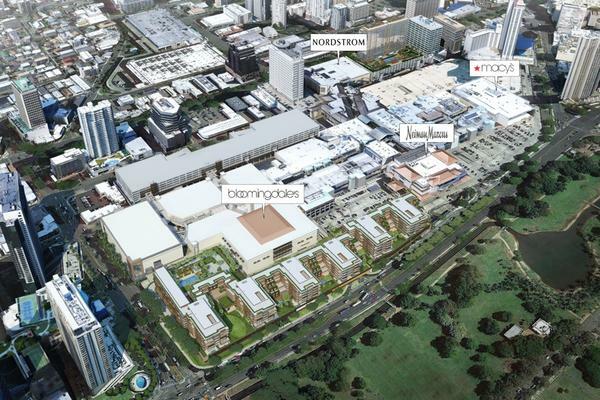 This diagram over an aerial photograph of Ala Moana Center provided by developers The MacNaughton Group, Kobayashi Group and BlackSand Capital shows where a group of ultra-luxury condominiums, as well as a new Bloomingdale’s store, will be built. The Honolulu developers of the $300 million Park Lane Ala Moana project, a row of seven ultra-luxury, condominium towers planned for what is now a parking area at Ala Moana Center held a ground blessing on Wednesday morning and plan to start construction within a couple of months, an executive from the development team told PBN. Kathy Inouye, partner and chief operating officer of the Kobayashi Group LLC, which is developing the low-rise project along with The MacNaughton Group, BlackSand Capital and landowner General Growth Properties (NYSE: GGP), said prices for the 215 units in the project haven’t been established. “[The ground blessing] is something that we like to do to thank the different [partners] we are working with, [including] the contractor that’s working on the site,” she said. Located at 1488 Ala Moana Blvd., the eight-story buildings, which will each be 100 feet tall and have 215 units that range in size from 850 square feet to 6,000 square feet, also will include two floors of residential parking, 2.5 floors of commercial parking and amenity spaces. Park Lane Ala Moana, which will be built adjacent to the Bloomingdale’s department store under construction at the state’s largest shopping mall that is undergoing a major redevelopment of its Ewa Wing, was first reported by PBN. The project is scheduled to be completed in 2016. The construction scene at the One Ala Moana ultra-luxury condominium tower being built atop the Nordstrom parking garage at Ala Moana Center. The ONE Ala Moana ultra-luxury condominium tower being built atop the Nordstrom parking garage at Ala Moana Center is expected to be completed by the end of this year with units selling for an average of $1.6 million, according to the Howard Hughes Corp., one of the development partners. The Texas-based developer, part of HHMK Development, which also includes The MacNaughton and Kobayashi Group, provided additional details in its annual report this week. The developers expect to invest a total of $265.1 million in the project, including construction, sales and financing costs. As of Dec. 31, they had spent $109.4 million, the Howard Hughes Corp. (NYSE: HHC) said. The project is being financed by a $132 million construction loan, along with two $20 million mezzanine loans from List Island Properties and A&B Properties, a subsidiary of Alexander & Baldwin Inc. (NYSE: ALEX). In December 2012, all of ONE Ala Moana’s condo units sold within the first two days on the market for an average price of $1.6 million. As of last July, the developers had collected $66.2 million in buyer deposits, representing 20 percent of contracted sales prices. Among the amenities in the 23-story, 206-unit building are a wine-tasting room, a chef’s kitchen where residents can bring in their personal chefs, and a private salon where personal shoppers from Ala Moana Center stores can bring items to residents. 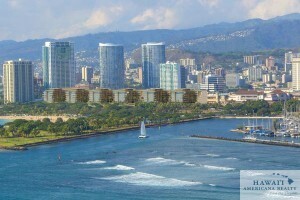 This rendering shows the six ultra-luxury condominium buildings planned for a portion of Ala Moana Center. 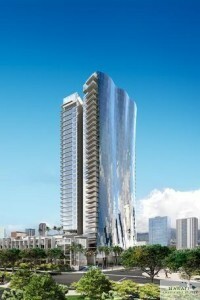 The project will have a total of 215 units, according to a building permit filed with the City and County of Honolulu. The planned seven ultra-luxury condominium towers to be built on what is now a parking area of Ala Moana Center fronting Ala Moana Boulevard will include 215 units with 109 two-bedroom units, 65 three-bedroom units, 36 one-bedroom units and five five-bedroom penthouses, according to a permit filed recently with the City and County of Honolulu. The application for the “Low Rise Residential” project includes no other details, except that the estimated sewer connection date is set for Dec. 31. 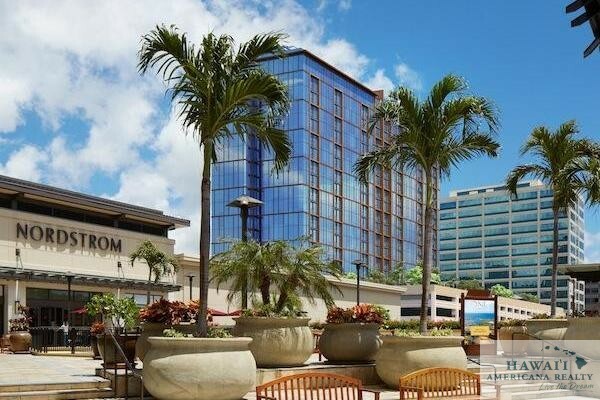 PBN first reported on the project, which is being developed by Honolulu developers The MacNaughton Group and Kobayashi Group as well as the Hawaii-based investment firm BlackSand Capital and mall owner General Growth Properties (NYSE: GGP). The eight-story buildings, which will be 100 feet tall, range in size from 850-square-foot units to 6,000-square-foot units and will have 2.5 floors of commercial parking. No price ranges for the units were given for the project, which will be built adjacent to the Bloomingdale’s store under construction at Ala Moana Center. It is scheduled to start in mid-2014, with a completion date in 2016. Nordstrom (NYSE: JWN) is also moving its Ala Moana store to that end of the mall, along Piikoi Street, and a Whole Foods Market (NYSE: WFM) is being planned for the ground floor of that store. Oahu’s luxury home market experienced strong sales of single-family homes priced between $1 million and $3 million. Sales of homes priced $1 million to $2 million increased nearly 50 percent from July through September, compared to the third quarter of 2012. Year-to-date, 330 homes were sold in this price range through the end of September, which was nearly double the number sold in all of 2012, the report said. Additionally, the number of homes priced between $2 million and $3 million sold during the quarter rose 33 percent compared to the same time period last year. Year-to-date sales in this price range were about 70 percent of 2012 sales. Even some higher price ranges performed well, according to the report, which pointed out that the $5 million-and-above range saw sales rise 10 percent above 2012 levels. 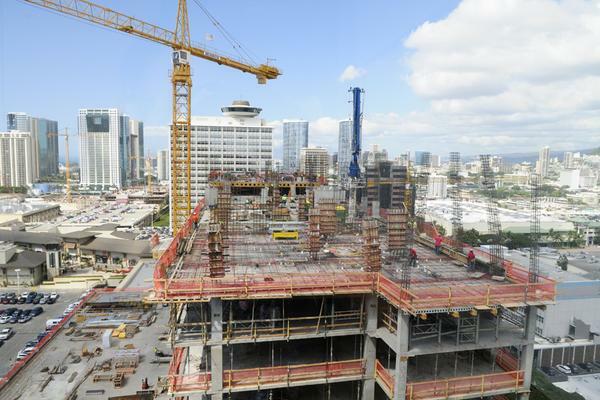 Meantime, sales of condominiums in the $800,000 to $1 million range were 78 percent higher in the third quarter than during the same time period last year, and have already exceeded the number of sales in 2012 by 12 percent. The number of condos sold for more than $1 million was 62 percent higher when comparing year-over-year totals, surpassing overall 2012 sales by 4 percent. In terms of foreign real estate investment on Oahu so far this year, Japan remained in the top spot for both the $1 million to $2 million segment, and the $2 million-and-above price range with triple the number of homes sold as well as triple the dollar value of sales of other countries on the top four list combined, the report said. Brazil made the list for the first time in the $1 million to $2 million category. In the $2 million-and-above segment, Hong Kong came in second with two homes sold and China joined the list for the first time since 2010. But not all luxury market price ranges fared well in the third quarter, the number of sales in the $3 million to $5 million range declined by 10 percent, when comparing year-over-year numbers. 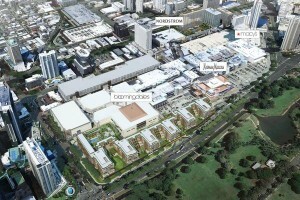 MK Development — a joint venture of well-known Hawaii developers the Kobayashi Group and The MacNaughton Group — is purchasing six acres in Kakaako from Kamehameha Schools for an undisclosed price with plans to develop two luxury mixed-use residential projects totaling about 500 units along the mauka side of Ala Moana Boulevard, a source close to the situation tells Pacific Business News. 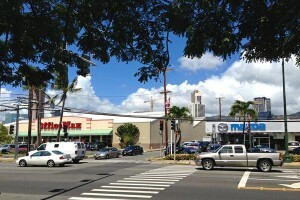 An Office Max store and the Cutter Mazda dealership are seen on Ala Moana Boulevard in Honolulu. The two blocks, owned by Kamehameha Schools, are to be developed by a joint venture of the Kobayashi Group and The MacNaughton Group into luxury condominium towers, a source tells Pacific Business News. The projects are located on “Block H” and “Block I” within the Kamehameha Schools “Our Kakaako” master plan that proposes seven residential towers with 2,750 units and 300,000 square feet of commercial space on 29 acres on nine city blocks. The two parcels are bounded by Ala Moana to the south, Auahi Street to the north and Cooke Street to the west and stretches nearly to Ward Avenue to the east. An official announcement about these projects, whose units will likely have sweeping views of the Pacific Ocean, is expected soon. Currently, a Cutter Mazda automobile dealership and service center as well as an Office Max are on located the two parcels, which are separated in the center by Koula Street. 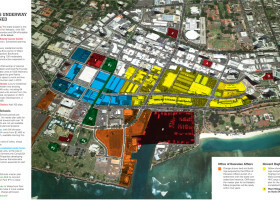 The Hawaii Community Development Authority, which oversees the redevelopment of Kakaako, still needs to approve these projects, which expect to start the sales process in the fall of 2015. Prices for the units have not been set, but the condominium towers are expected to have commercial tenants such as shops and restaurants on the ground floors, similar to the Hokua condominium, another one of MK Development’s projects, which has Tango Contemporary Cafe and Panya Bistro & Bakery. MK Development is close to selecting an architect and design partners for the projects, which are expected to attract both the international and Hawaii markets, the source said. The Honolulu-based development team, which was formed in 2001, is no stranger to developing luxury mixed-use condo projects. Besides Hokua, it has also developed Capitol Place in Downtown Honolulu and is in the process of building One Ala Moana atop Nordstrom’s parking garage at Ala Moana Center. Representatives from MK Development could not immediately be reached for comment. Kamehameha Schools, through a spokeswoman, previously told PBN in an email that it did not have any more information on the towers planned for the mauka land along Ala Moana Boulevard, other than that those blocks have been designated within its master plan for future luxury housing. “They will complement other fee simple and rental projects in ‘Our Kakaako,’” she said. These newest condo plans are among at least 15 condo projects that include the more than 4,000 units planned for the so called “Third City” of Kakaako, which includes for-sale and rental options.